Announcement Welcome! Looking for a special one of a kind gift? 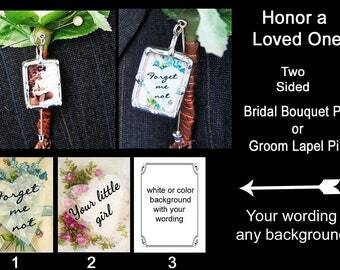 I create wedding bouquet charms, photo jewelry and other keepsakes from your photos. I love turning your memories into a treasure. My charms are artisan quality and completely handcrafted. I use the same soldering technique as used in stained glass work. Please feel free to contact me if you have any questions! My production time can vary from 3-4 weeks depending on my current volume of orders. Welcome! Looking for a special one of a kind gift? 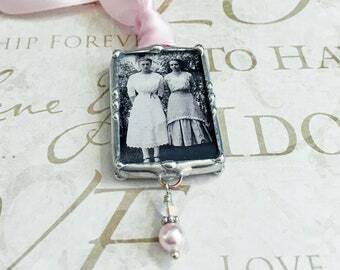 I create wedding bouquet charms, photo jewelry and other keepsakes from your photos. I love turning your memories into a treasure. My charms are artisan quality and completely handcrafted. I use the same soldering technique as used in stained glass work. It was a pleasure turning this piece of a customer’s wedding dress into bouquet charms for her daughters to carry on their wedding day. A lovely way for your bridesmaids to not only embellish but keep track of their bouquets at the reception. Once photos are printed they need to be cut and placed between glass. After soldering, my dremel is the perfect tool to polish the charms and give them a nice shiny finish. A photo bracelet is a perfect for wearing several memories. 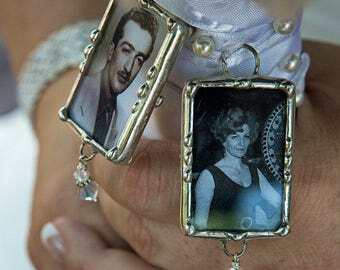 Brides love to attach an old family photo in memory of grandparents, parents, siblings, friends...to their bouquet. I'm a collector of quotes and love to include inspirational messages in some of my creations. I'm a self taught artist and creator. Learning to solder and create that perfect "bead" was quite a challenge but it didn't take long before I became addicted. 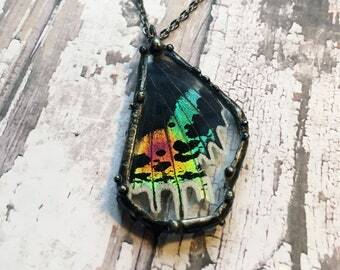 It was thrilling to be able to put my photos between glass in addition to salvaging broken pieces of china and upcycling scrap pieces of stained glass and turning all of those things into wearable pieces of art. I love browsing through all of the old family photos that I have inherited. One day I thought, 'what a shame that all of these beautiful memories were tucked away in an album out of site'. I began exploring various ways to display some of my family memories. The first piece I created was a pendant with a photo of my Mom and Grandma. I wore it all the time and had many people request one. Before long, my business was born. My business has been so rewarding and I am quite honored that people have chosen me to turn their memories into a lasting keepsake. The support of my family allows me to be the person I truly am; a wife, mother, artist and creator. Thankyou for visiting my little boutique on Etsy. I hope you will visit often as I'm always working on new things. I take great care in the details of the items I make. Please contact me if you want something custom made or if you have any questions about my items. My business days are Monday through Saturday. I do not work my shop on Sundays or Holidays and will acknowledge your order on the next business day. I, Sharyn Feller, am the data-controller of your personal information as it relates to my shop, Designed To Charm. When you place an order with me, I will receive your name, delivery address and email address from Etsy. I will only use these details to process and deliver your order, or deal with any queries you may have related to that order. If you send me a message using the contact button on Etsy, I will receive your username and email address. ❶ With Etsy to comply with my obligations. ❷ With delivery companies to fulfill your order. ❸ To comply with legal or tax obligations.